How did diverse religious groups influence the early growth and character of Sarasota? 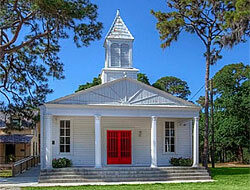 The village of Sarasota’s earliest church was chartered in 1891 as the Sarasota Methodist Episcopal Church. Manatee Village circuit rider Rev. E. F. Gates brought recently ordained Rev. William B. Tresca to be founding minister. 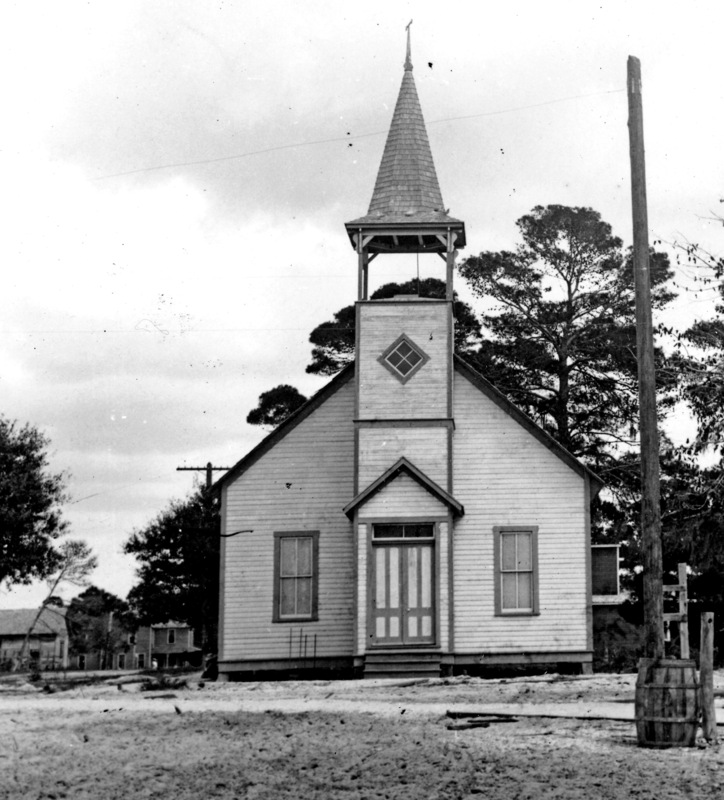 The congregations that pioneers of the Sarasota area established became civic and social centers in addition to places of worship and their importance increased as the little villages evolved into organized towns, cities and counties. People looked to their churches for spiritual support that also enriched social lives and fostered educational advancement. Four experts in church history gather on Tuesday, February 11, 2014 at the Crocker Memorial Church (1260 12th Street, Pioneer Park) to engage the audience in a guided conversation about the historically significant churches that had a major impact on the development of Sarasota before 1930. Speaking to God in Different Voices is part of a series of community dialogues called Conversations at The Crocker. Organized by the Historical Society of Sarasota County and sponsored by SARASOTA Magazine, Conversations at The Crocker events highlight specific aspects of Sarasota’s past and examines pivotal events and people. Crocker Memorial Church, where our Conversation will take place, dates from 1901 and was originally located at what is now Tamiami Trail and Bee Ridge Road. It served a minimum of three different congregations and continues, in the 21st century, as a community meeting place, a locale for wedding and other celebrations, and a venue for classes, clubs, and public and private events. Leading this conversation is Kim Sheintal, author of the book Jews of Sarasota-Manatee. Sheintal came to Sarasota in 1971 and has served as president of five local Jewish organizations. She is president of the Jewish Genealogical Society of Southwest Florida and serves on the board at Temple Emanu-El. Joining Sheintal on the stage will be Ohio native Ted Cover. He moved to Sarasota in 2000. Cover is the Historian/Archivist for St. Martha’s Church and his other avocations include model railroading, history of technology and history of the Sarasota area. Also on the stage will be Treva Robinson who moved to Sarasota in 1964 and joined First United Methodist a year later. After several volunteer assignments, she joined the staff in 1970 as membership secretary and later church secretary. She retired last year with a vast storehouse of knowledge. Also contributing to the Conversation will be Dr. Carl Stockton, Professor of History and Academic Dean emeritus, University of Indianapolis. He is active with the National Episcopal Historians and Archivists, the Historical Society of the Episcopal Church and the Ecclesiastical Historical Society. He is a writer and reviewer for historical journals and is President of the Sarasota Association of Campus Ministry. Conversations take place at The Crocker Memorial Church and proceeds help to maintain the Bidwell-Wood House (1882, Sarasota’s oldest private residence) and the Crocker Memorial Church (1901). This event begins at 7 p.m. Tuesday February 11 and is free to Historical Society members; $10 for guests. Chairs of Conversations at The Crocker are Lynn Harding and Marsha Fottler. At 6pm, join us for docent-led tours of our campus and to shop at the gift shop before each Conversation event. For additional information, contact Linda Garcia, Site Manager, at 364-9076. Historic photo from the Sarasota County Archives. ← Family comes to aid of historic structure.